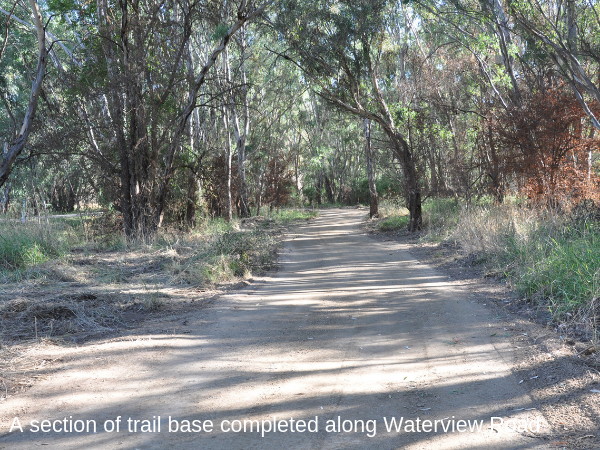 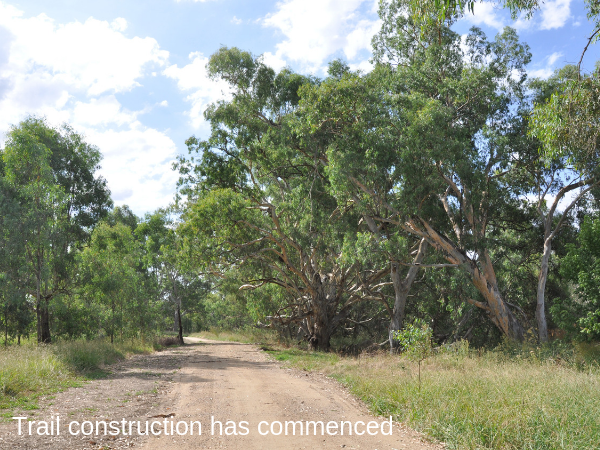 The Wagirra Trail extension is one of the four major projects we are delivering in partnership with the NSW Government under the Regional Growth Environment and Tourism Fund (RGETF). 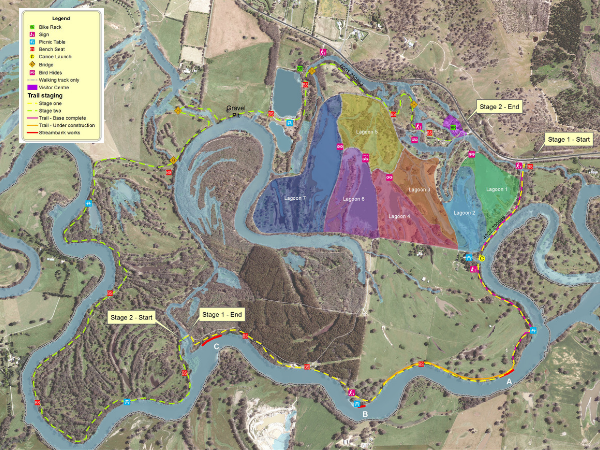 All projects improve our connection with the Murray River and will be ready for us to enjoy by mid 2021. 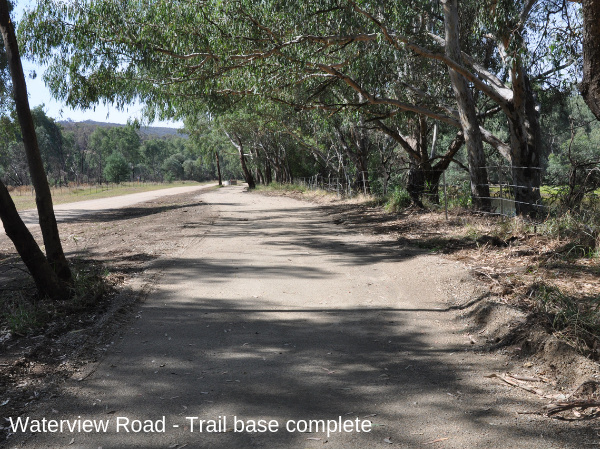 A major portion of trail along Waterview Road base construction is now complete with link to Riverina Highway still to be done. 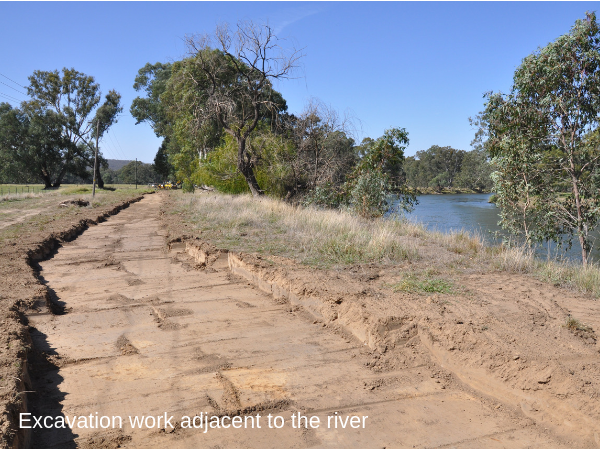 Works will continue along the rive until the canoe launch facility is constructed . 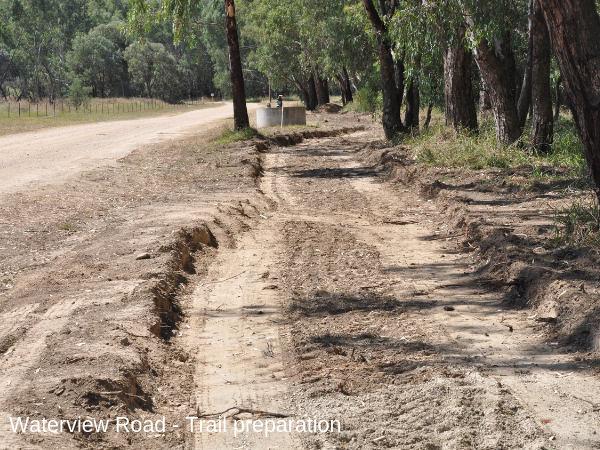 Works continues on the Waterview Road section of the Trail. 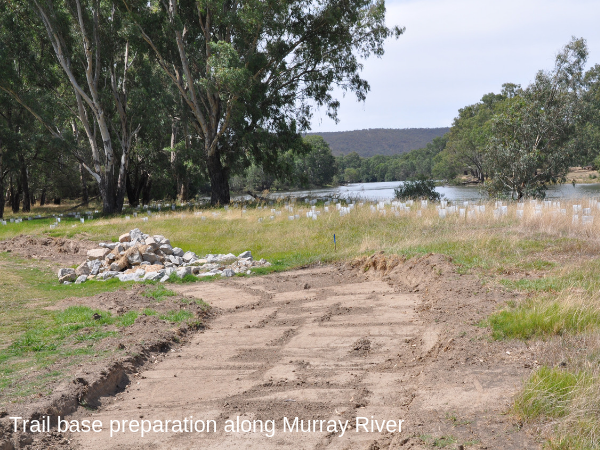 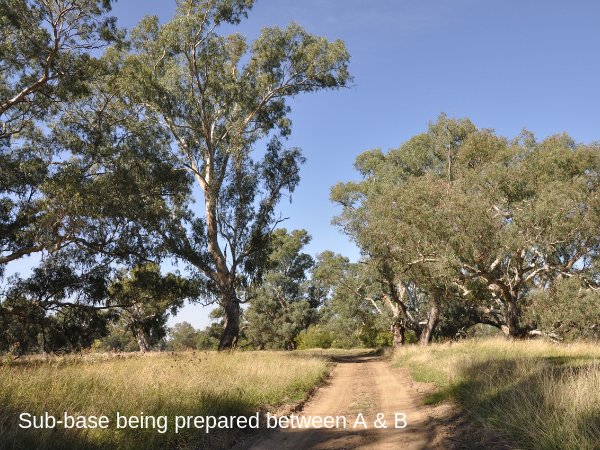 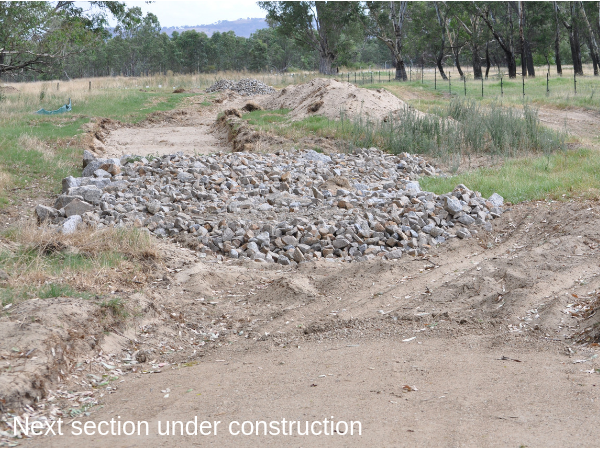 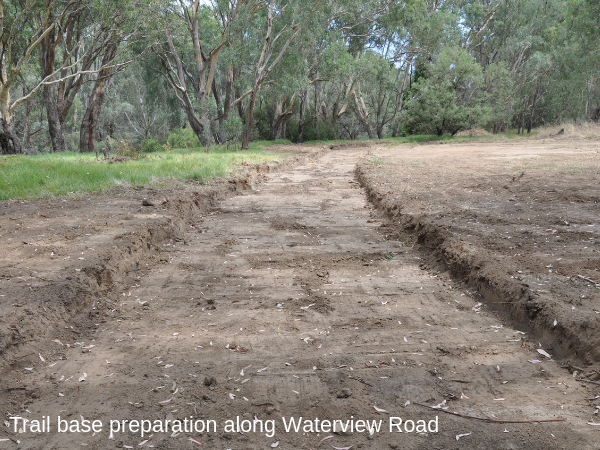 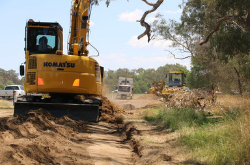 The base has been prepared for a short section from the bridge adjacent to the Riverina Highway..
Base preparation has commenced along Waterview Road while it continues on the southern section of the Trail along the Murray River.